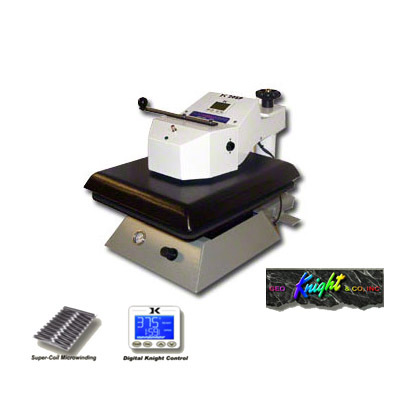 George Knight® DK20SP air-operated automatic table top swing-away heat transfer press. 16" x 20" heater block size. You will need to separately purchase a 5-10 gallon tank, 100psi minimum, ½ cfm small compressor.